Ericsson has 290 people including 48 IP engineers working in its Kenyan facility. As the Kenyan mobile market continues to grow, Ericsson has been supporting the mobile operators in its own way – an estimated 40% of Kenya’s mobile traffic is handled by Ericsson equipment. The Swedish company has been aggressive in taking on LTE deals on the continent where several markets are mainstreaming LTE networks. 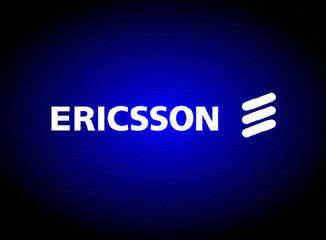 Ericsson has worked hard to be part of key deployments in Africa’s move to 4G. Ericsson’s infrastructure projects have scaled up to take advantage of the demand for healthcare, e-gov and mobile banking. Kenya is one of the 10 African markets chosen in a joint initiative between Ericcsson, Business Sweden and the Swedish Foreign Ministry for the promotion of ICT ventures on the continent. SymbioCity – as the initiative is called – has been running since 2013 when the Ghanaian ICT sector was marked for the the launch of conferences aimed at strengthening ICT via knowledge sharing, increased collaboration and trade. This has been extended to include other markets where SymbioCity will have an impact, Kenya, Uganda, Tanzania and Nigeria are all targetted in the campaign. Sub-Saharan Africa is the fastest growing ICT-market in the world. Only in Kenya, the ICT-hub of East Africa, the number of internet users is today 16.2 million people. According to Ericsson, there will be 930 million subscribtions in 2019 in Sub-Sahara. “For over 100 years, Ericsson has worked with partners across the region to build a secure and sustainable future. In that time, we have witnessed tremendous growth in telecommunications across Africa, particularly in the past few years. Our research predicts continued growth and shows a direct relationship between broadband speed and penetration and GDP growth, as such it’s clear that telecommunications will be key to transforming lives in sub-Saharan Africa”, said Mr. Fredrik Jejdling, Head of Region, sub-Saharan Africa.